Equipment List | Parkway Metal Products, Inc.
Our plant houses the most state-of-the-art fabrication and stamping equipment available today. It is in our client’s best interest to not just provide the best metals and service, but also ensure the right tools for the finished product. 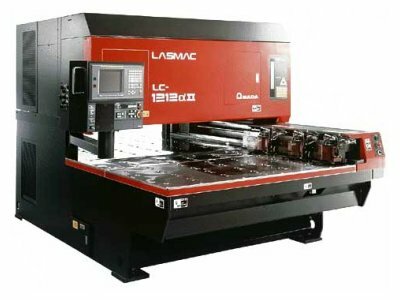 The LC series is ideal for automated sheetmetal fabrication. Designed to produce scratch-free parts, the LC is particularly suitable for stainless and aluminium applications. 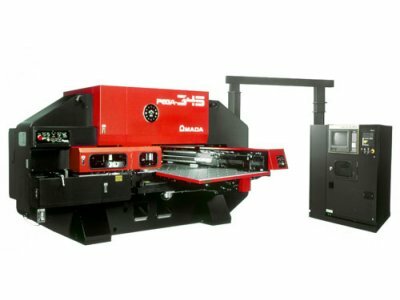 With a considerable number of installations throughout the world, Amada has the experience to make your sheetmetal automation project successful. AMADA PEGA KING TURRET PRESSES, MODEL #345 A/I. 58 STATIONS, 2 AUTO INDEX. 40 X 50 TABLE CAPACITY. FANUC 04PC CNC/MMC CONTROL. W/CNC BACK GAUGE SYSTEM. 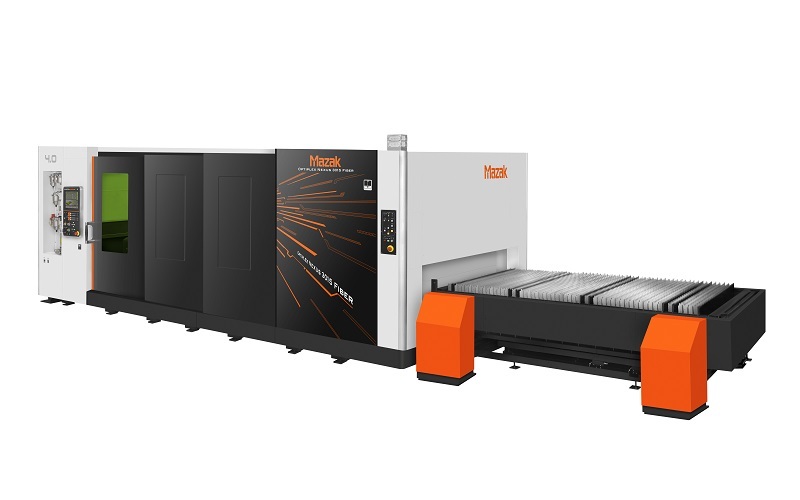 187 TONS X 13 FT.
CHANGER, 60 X 120 CAPACITY, MAZAK SMART SYSTEM CAD/CAM & MAZATROL PREVIEW 3 CNC CONTROL. CAPACITIVE HEAD SYSTEM & 15KG GAS ASSIST. 61 X 198 CAPACITY. CAD/CAM & FANUC 160i-L CNC CONTROL. CAPACITIVE HEAD SYSTEM & 15KG GAS ASSIST. 49 X 98 CAPACITY. CAD/CAM & FANUC 16-L CNC CONTROL. ONE, AMADA HFT-170-4S PRESS BRAKE, W/CNC BACK GAUGE SYSTEM. 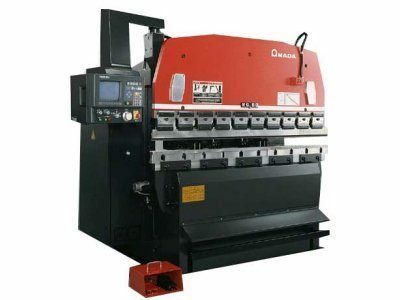 187 TONS X 13 FT.
ONE, AMADA HFB-8025 PRESS BRAKE, W/700-HF 4 AXIS BACK GUAGE SYSTEM. 90 TONS X 8 FT.
TWO, AMADA RG-80S PRESS BRAKES, W/NC9EX-II CNC BACK GAUGE SYSTEM. 80 TONS X 6 FT.
TWELVE, AMADA RG-35S PRESS BRAKES, W/NC9EX-II CNC BACK GAUGE SYSTEM. 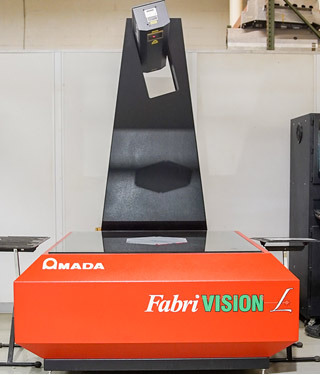 40 TONS X 4 FT.
ONE, AMADA M-3060 MECHANICAL SHEAR W/CNC PROGRAMMABLE BACK GAUGE, 1/4″ X 10 FT. CAPACITY. ONE, URKSVIKEN HYDRAULIC POWER SHEAR WITH BACK GAUGE, 5/16″ THK. X 10 FT. CAPACITY. TWO, CHICAGO D&K PRESS BRAKES, 35 TONS, 72″ BED. ONE, CHICAGO D&K PRESS BRAKE, 25 TONS, 72″ BED. ONE, TIMESAVERS #1211-12-0 SURFACE-FINISHING MACHINE. 24″ MAX. WIDTH. ONE, AMADA AEM-6037-DC SURFACE-FINISHING MACHINE. 36″ MAX. WIDTH. ONE, A.E.M. #501-37 SURFACE FINISHING MACHINE. 36″ MAX. WIDTH. ONE, L & J O.B.I. PUNCH PRESS, 125 TONS CAPACITY, 30″ X 44″ BED AREA. ONE, BLISS O.B.I. PUNCH PRESS, 100 TONS CAPACITY, 30″ X 40″ BED AREA. ONE, WALSH O.B.I. PUNCH PRESS, 90 TONS CAPACITY, 27″ X 42″ BED AREA. TWO, WALSH O.B.I. PUNCH PRESSES, 65 TONS CAPACITY, 24″ X 36″ BED AREA. ONE, JOHNSON O.B.I. PUNCH PRESS, 60 TONS CAPACITY, 32″ X 34″ BED AREA. ONE, WALSH O.B.I. PUNCH PRESS, 55 TONS CAPACITY, 20″ X 30″ BED AREA. ONE, JOHNSON O.B.I. PUNCH PRESS, 45 TONS CAPACITY, 22″ X 34″ BED AREA. ONE, BLISS O.B.I. PUNCH PRESS, 35 TONS CAPACITY, 18″ X 28″ BED AREA. ONE, ROCKFORD O.B.I. PUNCH PRESS, 30 TONS CAPACITY, 18″ X 24″ BED AREA. ONE, FEDERAL O.B.I. PUNCH PRESS, 30 TONS CAPCITY, 16″ X 20″ BED AREA. ONE, WALSH O.B.I. PUNCH PRESS, 28 TONS CAPACITY, 14″ X 20″ BED AREA. ONE, WALSH O.B.I. PUNCH PRESS, 18 TONS CAPACITY, 14″ X 20″ BED AREA. FOUR, ASSORTED O.B.I. PUNCH PRESSES, 5 TO 15 TONS CAPACITY. TWO, CHICAGO RIVET RIVETING MACHINES, 3/16″ CAPACITY. THREE, TAUMEL ORBITAL RIVETING MACHINES, 1/4″ CAPACITY. ONE, ROWE STOCK STAIGHTENER, 1/8″ X 36″ CAPACITY. ONE COOPER WEYMUTH STOCK STRAIGHTENER, VARI-SPEED, 3/16″ X 12″ CAPACITY. ONE RAPID AIR STOCK STRAIGHTENER, VARI-SPEED, 1/8″ X 4″ CAPACITY. ONE, PEXTO #3814-H ROLL FORMER W/FTSW, 16ga. X 48″ CAPACITY. TWO, LITTEL COIL REELS, VARI-SPEED, 1,500 LBS. CAPACITY. ONE, COOPER WEYMUTH COIL REEL, 2,000 LBS. CAPACITY. ONE, AMERICAN LINE COIL REEL, 2,500 LBS. CAPACITY. TWO, LITTEL COIL REELS, 500 LBS. CAPACITY. ONE, ROWE COIL CRADLE, 30″ WIDE, 2,500 LBS. CAPACITY. THREE, RAPID AIR PRESS FEEDS, 1/8″ X 6″ X 12″ CAPACITY. EIGHT, ADJUSTABLE STOCK TABLES, 2 FT. X 10 FT., 4,000 LBS. CAPACITY. ONE, AMADA #ID-404-ST PRESS TYPE SPOTWELDER, 80 KVA. TWO, AMADA #ID-40-ST PRESS TYPE SPOTWELDER, 80 KVA. ONE, ACME PRESS TYPE SPOT WELDER, 50 KVA. FOUR, PEER PRESS TYPE SPOT WELDERS, 30 KVA. ONE, TEC TORCH, 14 PIN SPOT WELDER GUN, 200 AMP. ONE, MILLER, 14 PIN SPOT WELDER GUN. ONE, TRW-NSA-80, CD STUD WELDER, 1/4-20 CAPACITY. ONE, CRAFTSMAN ARC WELDER, 200 AMPS. SIX, INGERSOLL 2 STAGE COMPRESSORS, 25 HP. ONE, CAT LIFT TRUCK, 5,000 LBS. CAPACITY. ONE, CAT LIFT TRUCK, 4,000 LBS. CAPACITY. ONE, INTERNATIONAL 2016 4300 DELIVERY TRUCK, 26,000 LBS. CAPACITY. ONE, GMC 1997 TOP KICK DELIVERY TRUCK, 15,000 LBS. CAPACITY. ONE, GMC 2005 C-3500 DELIVERY VAN, 4,000 LBS. CAPACITY. ONE, BRIDGEPORT MILL, 2 HP., VARI-DRIVE, W/DIGITAL READOUT. ONE, BRIDGEPORT MILL, 1-1/2 HP., VARI-DRIVE, W/DIGITAL READOUT. ONE, ABRASIVE NO. 2-1/2 HYDRAULIC SURFACE GRINDER, 8″ X 24″ TABLE W/COOLANT SYSTEM. ONE, ABRASIVE NO. 1-1/2 SURFACE GRINDER, 10″ X 15″ TABLE. ONE, K.O. LEE SURFACE GRINDER, 6″ X 18″ TABLE. ONE, BOYAR SCHULTZ SURFACE GRINDER, 6″ X 12″ TABLE. ONE, B&J GEARED LATHE, 3 & 4 JAW CHUCKS, FACE PLATE & COLLETS. 18″ DIA. X 60″ CAPACITY. ONE, VICTOR GEARED LATHE, 3 & 4 JAW CHUCKS, FACE PLATE, & COLLETS. 16″ DIA. X 36″ CAPACITY. ONE, CLAUSING GEARED LATHE, 3 & 4 JAW CHUCKS, FACE PLATE, COLLETS. 14″ DIA. X 36″ CAPACITY. ONE, SHELDON GEARED LATHE, 3 & 4 JAW CHUCKS, FACE PLATE, & COLLETS. 10″ DIA. x 30″ CAPACITY. ONE, DO-ALL VERTICAL BAND SAW, VARI-SPEED, HYDRAULIC FEED. ONE, WELLS HORIZONTAL BAND SAW, 18″ CAPACITY. ONE, DAKE COLD SAW MODEL #350 ST, 14″ DIA. ONE, AVEY GEARED DRILL PRESS, 2 HP., 24″ X 36″ TABLE. ONE, WALKER DRILL PRESS, 1-1/2 HP., 18″ X 24″ TABLE. EIGHT, DELTA, ETC. DRILL PRESSES, 1/2 TO 1 HP. FIVE, TAPMATIC TAPPING HEADS, 0-80 THRU 1/2-13 CAPACITY. ONE, ROBOVENT PLASER MDC-4-1836 DUST COLLECTOR. ONE, 18″ X 24″ GRANITE SURFACE PLATE. ONE, 12″ X 18″ GRANITE SURFACE PLATE. ONE, HEAT TREATING OVEN, 8″ X 8″ X 16″ CAPACITY. TWO, BIG JOE HYDRAULIC DIE LIFT TRUCKS, 1,500 LBS. CAPACITY. TWO, ECONOMY DIE LIFT TRUCKS, 1,000 LBS. CAPACITY. TWO, J & A UNIVERSAL GRINDING WHEEL DRESSERS. TWO, HARDINGE SECOND OPERATION LATHES. TWO, DO-ALL MOTORIZED PUNCH GRINDERS W/COLLETS. THREE, CRITERION BORING & FACING HEADS. ONE, SCREENPRO ELECTRONIC WELD CLEANER. TWO, HEAVY DUTY BELT SANDERS 6″ WIDE. NIKRO #AP1700 AIR CLEANING SYSTEM. QUALITY PROCEDURES ARE IN ACCORDANCE WITH MIL-I-45208, MIL-STD-45662, AND ISO-9001 SPECIFICATIONS. REGISTERED ISO-9001 WITH VERISYS REGISTRARS, CERTIFICATE #P042909. 48″ X 48+” MAXIMUM PART SIZE, SCANNING ACCURACY 0.002″. ONE, BAR CODE LABELING SYSTEM, TO EIA-556 LABEL STANDARD. ONE, RAMS, MODEL 30-R ROCKWELL SYSTEM HARDNESS TESTER. ONE, PRATT & WHITNEY 81 PC. GAGE BLOCK SET, INSPECTION GRADE. ONE, WEBBER 81 PC. GAGE BLOCK SET. ONE, TRIMOS-FOWLER MICROMETER HEIGHT GAGE, 0″ TO 12″. ONE, ROLLE 18″ HEIGHT GAGE. ONE, BROWNE & SHARP 12″ HEIGHT GAGE. ONE, MICROTEST MICROMETER HEIGHT GAGE. ONE, SCHERR TUMICO GRANITE SURFACE PLATE, 24 ” X 36″, INSPECTION GRADE. SIX, INTERRAPID DIAL INDICATORS, .0005 GRAD. ONE, PERFEKT PLUG GAGE SET, .005 DIA. THRU .751 DIA. ONE, MAHR/ROLLE MICROMETER SET, 1″ THRU 8″. ONE, LUFKIN MICROMETER SET, 1″ THRU 10″. ONE, BROWNE & SHARP C’SINK. MICROMETER. ONE, LUFKIN MICROMETER STANDARDS SET, 1″ THRU 9″. TEN, ASSORTED MICROMETERS, 0″ THRU 1″. TWO, LUFKIN INSIDE MICROMETER, 2″ THRU 12″. ONE, MITUTOYO INSIDE MICROMETER, 2″ THRU 12″. TWO, LUFKIN DEPTH MICROMETERS, 0″ THRU 6″. THIRTY, ASST’D. ELECTRONIC VERNIER CALIPERS, 0″ THRU 12″. ONE, MITUTOYO DIGITAL CALIPER, 0″ THRU 18″. ONE, ASTRAL BAR MICROMETER, 0″ THRU 36″. ONE, BROWNE & SHARP FLANGE MICROMETER, 0″ THRU 2″. ONE, MITUTOYO FLANGE MICROMETER, 0″ THRU 1″. TWO, MATERIAL THICKNESS GAGES, POCKET STYLE. ONE, PRO 360 DIGITAL LEVEL. ONE, QNIX PAINT THICKNESS TESTER. ONE, GLOSSOMETER: 20°, 60°, 85°, PAINT & SURFACE GLOSSINESS TESTER.